Some more good news for gamers interested in using 120Hz 3D capable monitors for gaming in 2D mode and not in stereo 3D, aside from the Nvidia 3D Vision-ready 3D Lightboost-capable 3D monitors it turns out that Samsung’s more recent 3D displays also use a similar strobe backlight mode that apparently also eliminate motion blur when activated even in 2D mode. Mark Rejhon reports on his blog that the Samsung S23A700D, S23A950D and S27A950D 3D monitors use a strobe backlight mode similar to 3D Lightboost that can be used on both AMD Radeon and Nvidia GeForce graphics in 2D mode and when activated you can get a significant reduction in motion blur compared to when using one of these Samsung monitors in 120Hz refresh in 2D mode. Just like the case with 3D Lightboost here the strobe backlight feature was probably originally designed to improve the stereoscopic 3D performance of these monitors, but later on users find that it can also benefit 2D gamers as well finally bringing a good alternative to CRT displays for high refresh rate gaming in 2D mode. 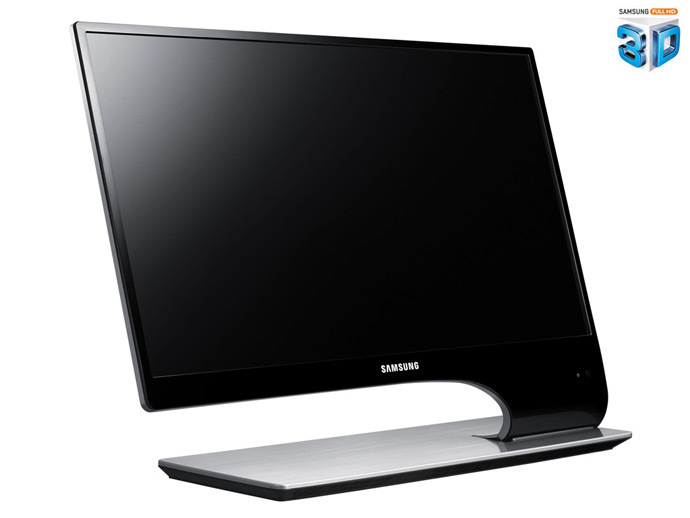 On Samsung’s 3D monitors however the input lag seems to be more than on a 3D Lightboost monitor, still if you already have one of the compatible Samsung 3D-capable displays why not take advantage of the strobe backlight in 2D mode as well. – Set the refresh rate of the dislay to 120 Hz mode. – Change “Response Time” to “Normal” from the monitor’s OSD menu. – Turn on “3D” via the monitor’s OSD menu and select, frame-sequential mode. – Keep using the monitor even for 2D gaming. Note: On some computer configurations, your monitor might turn off when entering and exiting video games. If this happens, simply turn on your monitor again.